HIPAA is the Health Insurance Portability and Accountability Act. It was developed in 1996 to regulate the protection of patient data, reduce the cost of healthcare, and provide continuous health insurance coverage for those who lose or change jobs. However, the part of the act we’re interested in as developers or owners of a healthcare software product is its requirements for protection against data fraud. 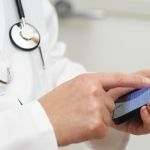 In recent years, smartphones and wearables have become widely used in hospitals and by insurance companies to connect doctors to patients and track their health. Smartphone apps that in any way process, receive, or send private data should comply with HIPAA. This is why mHealth App development with HIPAA requirements is currently a popular type of development. The rule here is simple: If your application processes, stores, or transfers any PHI data, it has to be HIPAA compliant. Even if you want to create software for other countries or regions — for example, Europe — you’ll still need to meet requirements, such as those established by the European Union. Almost every country has its own legislation governing the use of private medical data. 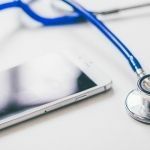 In this article, we focus on HIPAA app development requirements and answer the question how to make an app HIPAA compliant. Many of the things mentioned here, however, will also be relevant for apps targeting countries other than the US. Let’s first talk about what HIPAA is and why it’s so important to design your app according to it. First and foremost, HIPAA protects patients and their data. Personal data and private medical information can be used by malefactors against patients. Sometimes this means a mild inconvenience, but usually the consequences are much more serious. This is especially true in the US, where social security numbers are extremely important and are linked to almost all personal data of an individual. HIPAA protects patients from identity theft, a popular crime linked to personal data fraud. For a person, identity theft can result in large debts, massive financial losses, and harmful fake claims. According to MIFA, the average victim of data fraud spends over $13,000 to deal with the consequences. What happens if a company fails to meet HIPAA requirements? In two words, massive fines that can sometimes reach a couple million dollars. Each individual data breach case results in a $100 to $50,000 fine. If a data breach occurs because of a hospital’s non-compliance with HIPAA, each person whose data was exposed is a separate case. The fines against one entity aren’t to exceed $1,500,000 in one year for one category. There are already many examples of hospitals that have faced fines because their devices or software wasn’t secure enough. For example, in 2015, a Massachusetts hospital faced a $218,000 fine for putting data of nearly 500 patients at risk because their file sharing medical application failed to meet the basic HIPAA security requirements. 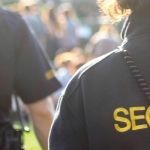 Another relevant example is the $3.2 million fine for failing to encrypt all data on portable devices that was imposed on Children’s Medical Center of Dallas. How can you avoid hefty fines and keep your patients’ data safe and secure? There’s a set of rules you need to follow. The main rule for any developer who works on medical applications is the security rule, which describes technical and physical safeguards. Physical safeguards include protecting the backend, data transfer networks, and user devices like iPhones or any other devices on iOS or Android that can be physically compromised, stolen, or lost. You can find a full list of physical safeguards here. To ensure your app’s security, you should enforce regular authentication or make it impossible to access the application without authentication. To make the authentication process safe without sacrificing the user friendliness of your app, you can allow fingerprint authentication. This will protect your app in case a device is lost or stolen. Make sure that memory cards in mobile devices don’t store any PHI. Memory cards are rather vulnerable as they don’t have strict access permissions. To create a secure app that’s fully HIPAA compliant, using reliable providers, a set of technical tools like libraries and third-party services isn’t enough. You need not only to encrypt the data in the software you develop but also make sure that it can’t be accessed if the server or device is physically compromised. Another rule you need to keep in mind is the minimum necessity rule: Don’t receive and store more data than you need or store data for longer than is required for your work. Avoid sending any PHI data in push notifications and leaking this type of information into backups and logs. For more information, check with the OWASP list of the ten most common mobile risks. Don’t attempt to meet all HIPAA requirements without guidance if you don’t have enough experience. It’s always better to hire a third-party expert to consult and audit your system. You can also outsource the whole HIPAA compliant app development development process to an experienced team. Finding an expert is useful both for startups and for big healthcare companies. Make sure you really need all the data you collect from patients and figure out what data can be categorized as PHI. Once you do that, see what PHI data you can avoid storing or transferring through your mobile app. Providing HIPAA compliance for an application is very expensive. If you attempt to create a custom HIPAA app from scratch, be ready to pay at least $50,000. This price will include development of a whole system that meets physical and technical security requirements. You’ll also need to spend money auditing this system, getting all necessary certifications, etc. The best solution to save time, money, and effort is to use a ready infrastructure and solutions that are already HIPAA compliant instead of developing HIPAA compliant mobile apps from scratch. This is called IaaS — Infrastructure as a service. For example, Amazon Web Services and TrueVault are compliant with HIPAA and are responsible for data security. To use a third-party service for storing or managing PHI data, you’ll need to sign a business associate agreement with third-party companies and make sure they’re reliable. If you use high-quality third-party solutions, the only thing you’ll need to worry about is creating something that doesn’t exist yet in the form of a ready solution. Use security best practices to encrypt the sensitive data of your patients. Make sure there are no security breaches and use several levels of encryption and obfuscation. Take care about encrypting stored data to protect it from being stolen from a device. Testing is extremely important, and you need to do it after every update. Test your application both statically and dynamically and consult with an expert to check that the documentation is up to date. Maintenance is a constant process you need to perform to keep your application safe. Libraries, tools, and frameworks for building an app and ensuring its security are constantly being updated. After you build a HIPAA-compliant mHealth app, you’ll need to make sure you update them regularly; otherwise, a security breach can occur. Protecting user data and integrating a mobile app into a HIPAA compliant system is a non-trivial task for any healthcare company or institution. It’s necessary, though, as penalties for violating this law are massive: from $100 up to $1.5 million annually. So ensuring HIPAA compliance for health applications is a must — and it requires time, money, and lots of effort. To save money and time, be sure to use ready solutions as much as possible and develop a HIPAA compliant medical app from scratch only if there’s no third-party service available. Also, make sure to consult with and get auditing services from experts who have experience creating secure HIPAA compliant medical apps. Remember to assess how much information you actually need for your app to operate and bring value to your users. HIPAA compliant apps don’t collect any information that isn’t necessary; if yours does, you’ll be spending resources on protecting information you don’t actually need. Mobindustry can help you with security issues and HIPAA compliance, so if you need a consultation or mobile development services, don’t hesitate to contact us. To find out whether Mobindustry is a right development partner for you, you can read this.